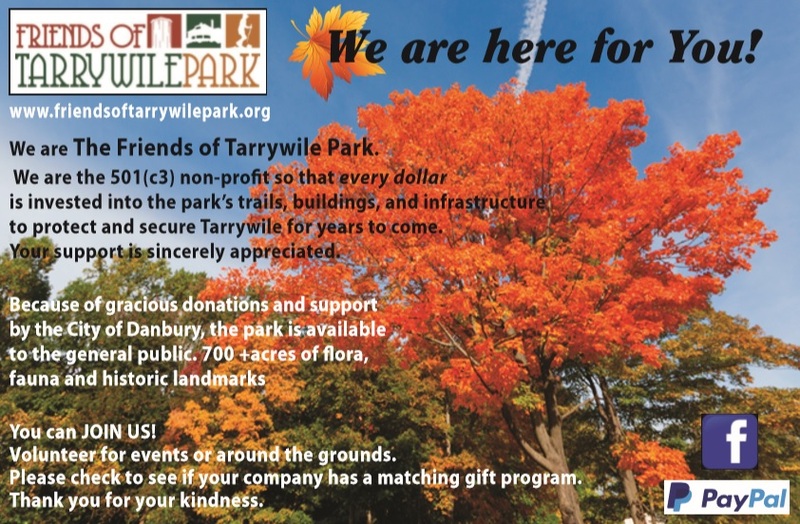 Welcome Friends of Tarrywile Park! The Friends of Tarrywile Park (FOT) is a private non-profit 501(c)3 organization run by volunteers whose mission is to support the preservation and enhancement of Tarrywile Park – a prized treasure that consists of a magnificent Victorian mansion, a castle and over 700 bucolic acres of pristine open space offering some of the State’s best hiking, picnicking, fishing, mountain biking, dog walking, environmental education, bird watching or just whiling away the day surrounded by the beauty of nature. Please take a few moments to explore our website. You will be amazed at the hidden treasures awaiting you at Tarrywile Park – no matter what your interest may be. You are welcome to visit us anytime.